The fleet-footed Astaire in Top Hat. HEAVEN: We submit that Fred Astaire—matchstick-shaped, perpetually tux-donning, is that lipstick? Fred Astaire—is in his own indefinable way one of the sexiest, most masculine icons of all time. And we’ll fight you on it. 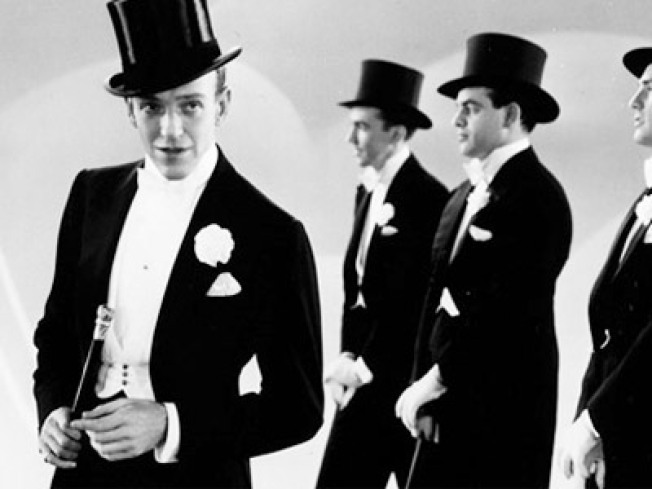 Go see Top Hat, the 1935 charmer that sees Astaire crooning Cheek to Cheek, at Film Forum if you don’t believe us. Part of FF's Astaire & Rogers, the Complete Works series, it’s a double feature with Follow the Fleet. 7:35PM. POLEMICIZE QUEEN: Blogosphere maven/HuffPo overlord Arianna Huffingtoncomes to the 92nd Street Y to ask you to blog for free discuss her new book Third World America: How Our Politicians Are Abandoning the Middle Class and Betraying the American Dream. Don't miss it. 8PM. ‘FIRE’ STARTER: The cold, hard truth of it is, Jerry Lee Lewis is one of the last men standing from rock-and-roll’s heyday, and he’s still got it in spades. (Sure, he married his 13-year-old cousin – but who hasn’t?) He’ll plug his new release, Mean Old Man, at the Union Square Best Buy—and if you buy it, you’ll get to enjoy a rare, intimate performance by the boogie-woogie giant himself. 7PM.